“In an era rocked by climate change and other large-scale disruptions, our cities must be resilient in order to survive and thrive. But what does that mean, exactly? 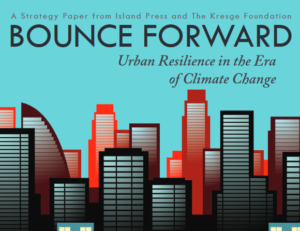 What is known about urban resilience, and what remains to be explored? And how can we put thinking into practice to create the resilient cities of the future?